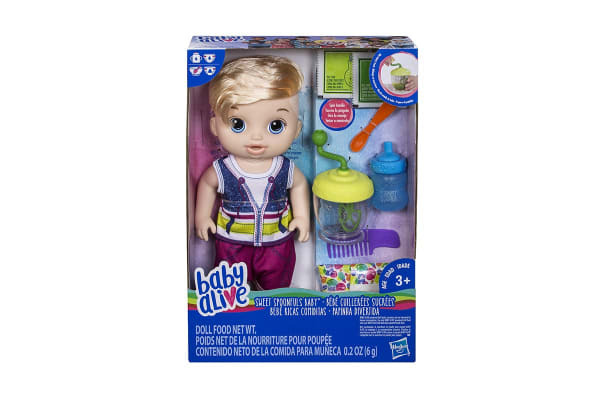 The Baby Alive Sweet Spoonfuls Baby Boy doll provides kids a fresh way to nurture and play by making their baby’s pretend food with a special blender! 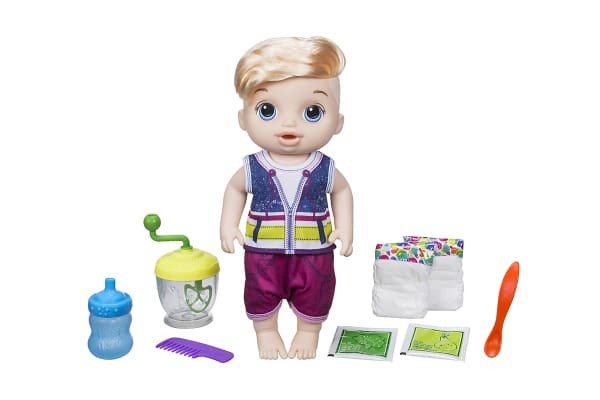 The Baby Alive Sweet Spoonfuls Baby Boy includes doll, blender with hand crank and bowl, 2 packets of doll food, spoon, bottle, 2 diapers and comb. When it’s time to eat, add the food packet and water into the blender. Kids can turn the handle to really mix together their baby’s meal! After feeding baby with a spoon, give them a bottle for refreshments!